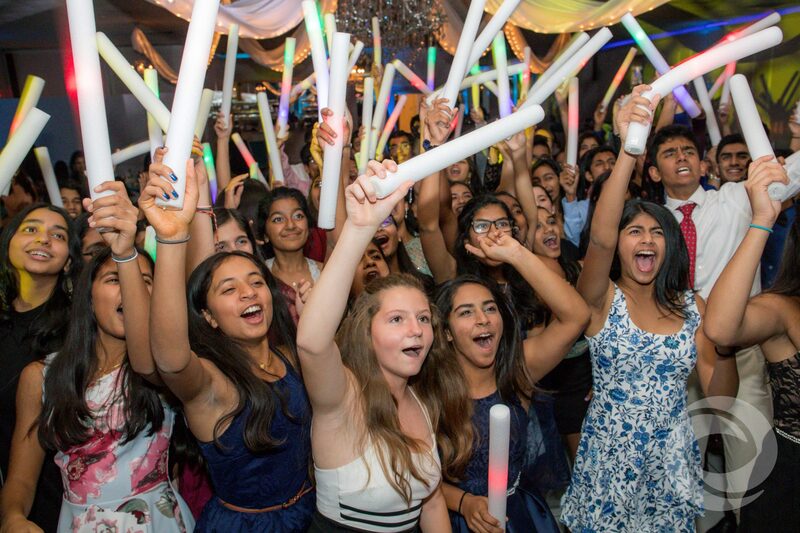 The Gran Centurions in Clark, New Jersey is known for its Colonnade Ballroom. 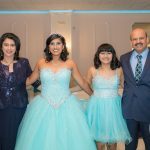 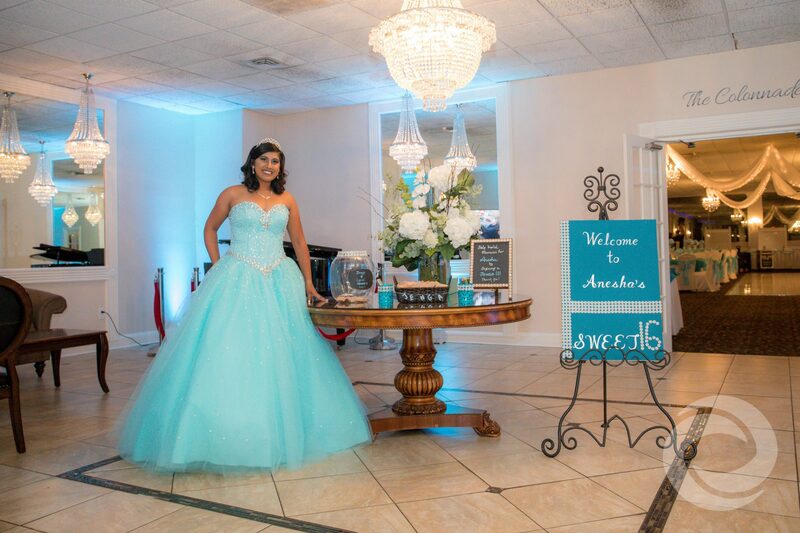 This elegant event space features a white tiled dance floor, mirrored wall panels, and exquisite chandelier -- the perfect backdrop for Anesha's teal princess-themed Sweet 16. 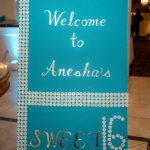 Anesha's family hired Hurricane Productions to provide media and entertainment services for the event. 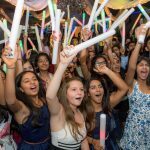 DJ Nate Hawley and MC Robbie Padovano kept the birthday girl's guests on the dance floor. 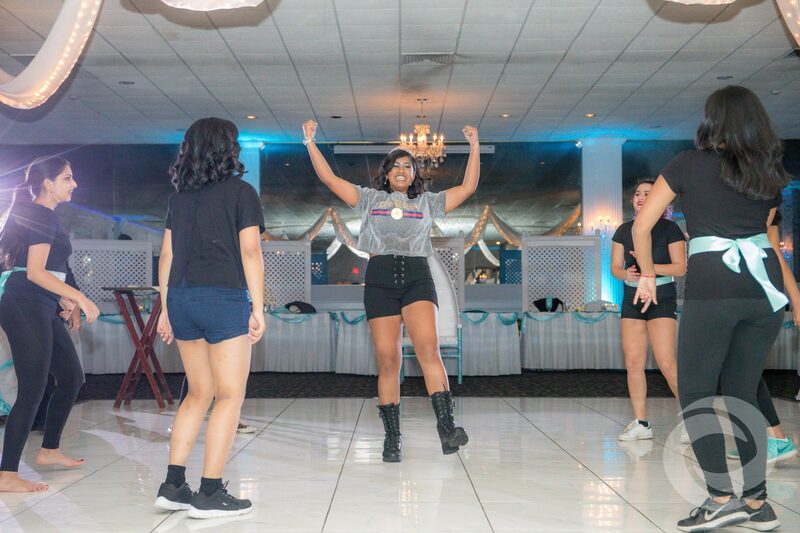 This dynamic duo also helped coordinate a variety of musical and dance numbers performed by Anesha and her court. 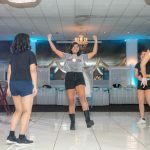 Photographer Ashley Szymczyk and videographer Tyler Ajamian captured the entire celebration and its performances. 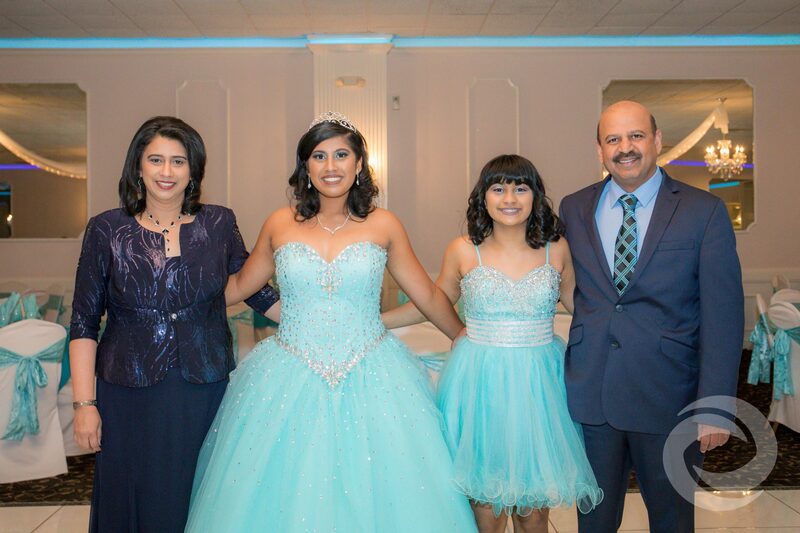 Ashley also took family and solo portraits on the beautiful grounds of The Gran Centurions. 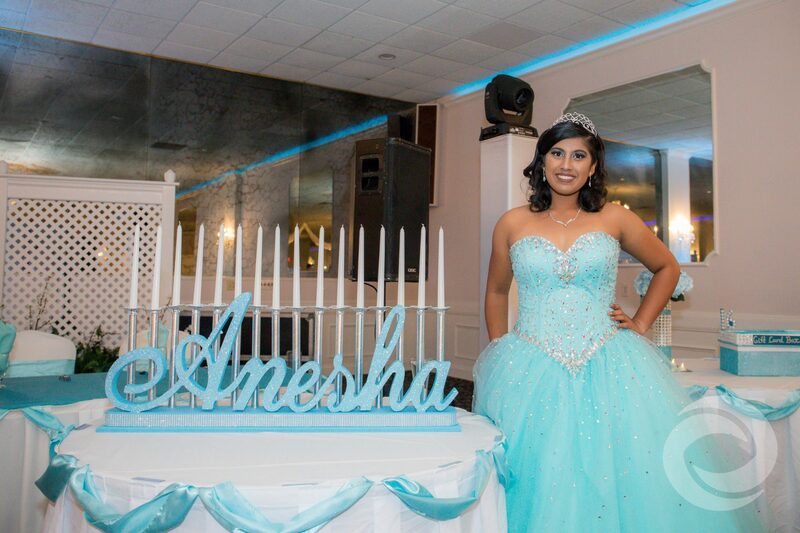 Anesha later received a feature-length video of her Sweet 16 highlighting the most important moments of the evening. 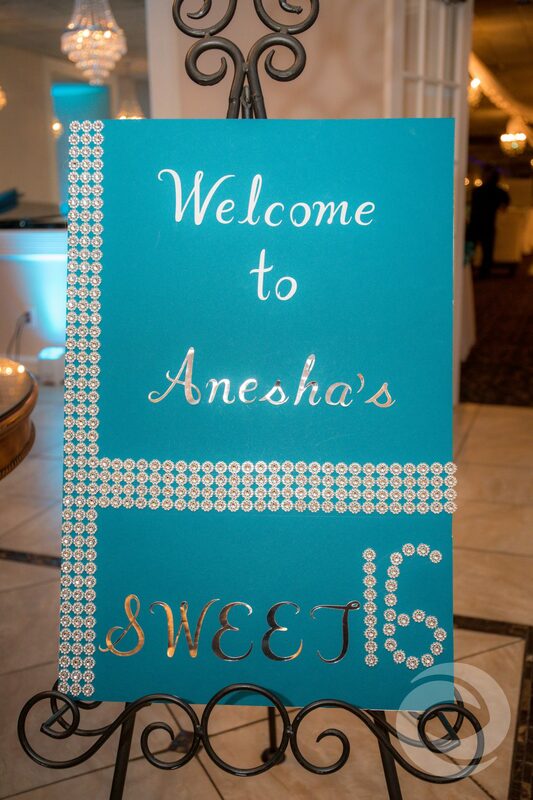 As part of their all-inclusive package, Anesha's celebration also included a personalized projection to match her theme and custom venue lighting design by Director of Operations Nick Nittoli. 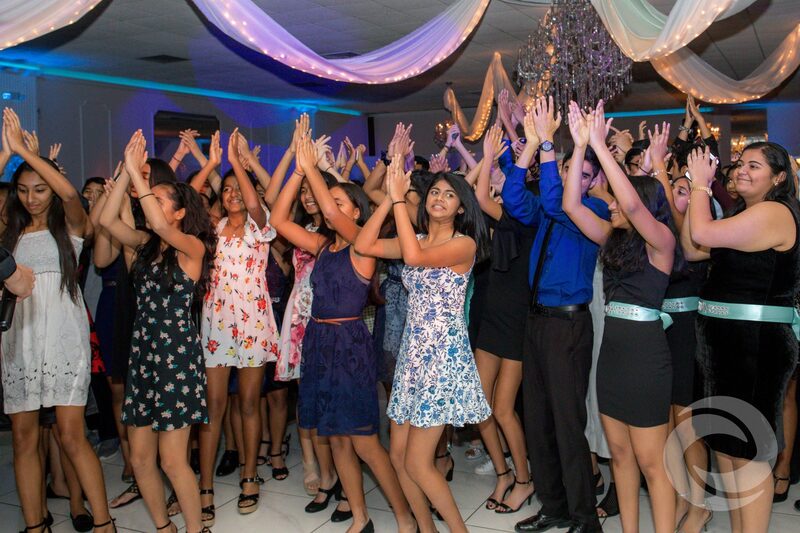 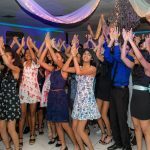 Hurricane Productions offers a full suite of media and entertainment packages for any special occasion, including Sweet 16s and Quinceañeras. 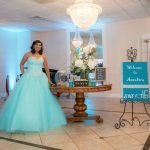 Check out our pricing pages or request a quote for more details on our customizing our services.